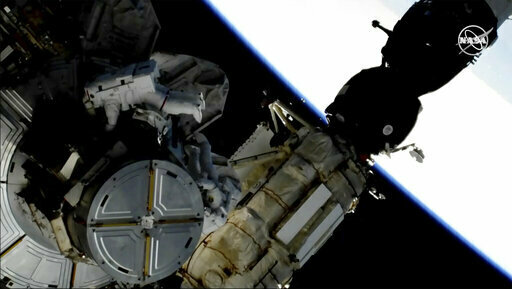 Two American astronauts took a spacewalk Friday to replace aging batteries on the International Space Station. NASA's Anne McClain and Nick Hague are scheduled to work in space for several hours to swap out three old nickel-hydrogen batteries with more powerful lithium-ion batteries. The duo overcame minor struggles in their first task, which involved attaching a tool bag on one of the station's trusses for possible future use. The station's robotic arm did much of the heavy work already, but the astronauts still have to lug 300-pound adaptors the size of a large coffee table and reconnect attachments. Chaz Bono keeps it casual while running some weekend errands around LA He's the son of famous singing duo Sonny and Cher.